Stubb and her family moved to their home, located on 2.25 acres just north of Baltimore, in 2001. "The outdoors here are a big playground," she says. "We had always wanted to build something for the girls that looked natural." 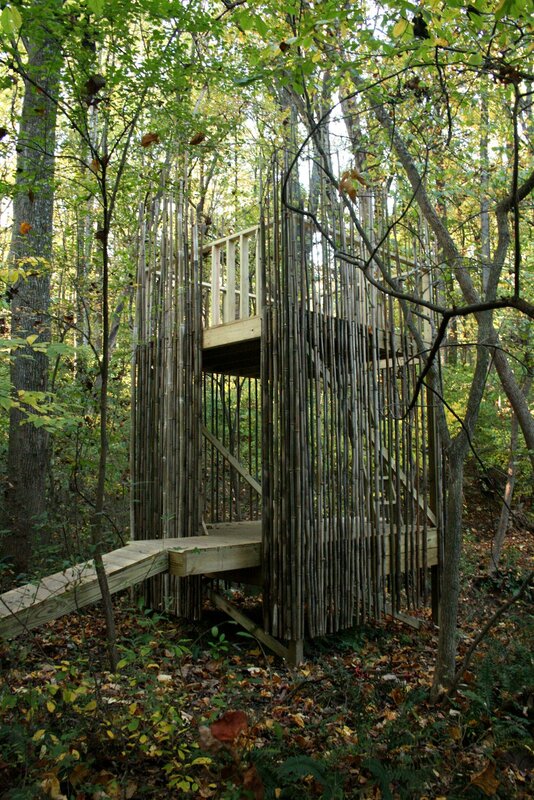 In the summer of 2008, they finally materialized their wish with the 128-square-foot "tree house" that they designed themselves. Drafting the plans came naturally: Laurie is the principal of Place Architecture, Inc. and her husband, Peter, is an architect at a firm that focuses on institutional projects.Photograph courtesy of Laurie Stubb.